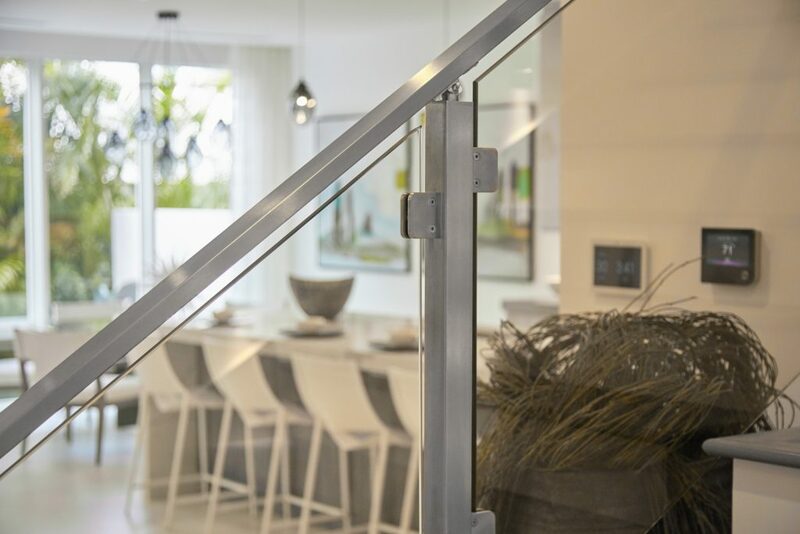 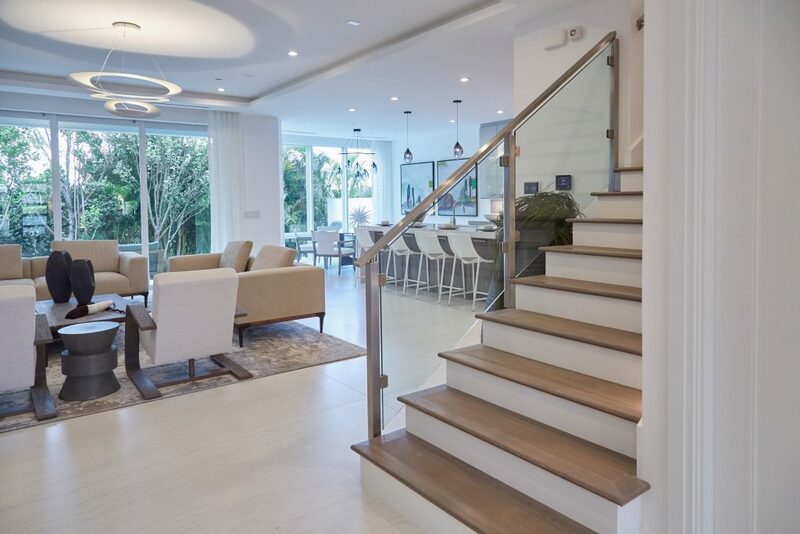 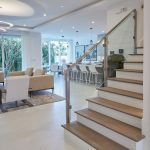 Glass railing systems are often seen outdoors–but we love the way these owners use glass railing to enhance their indoor space. 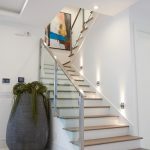 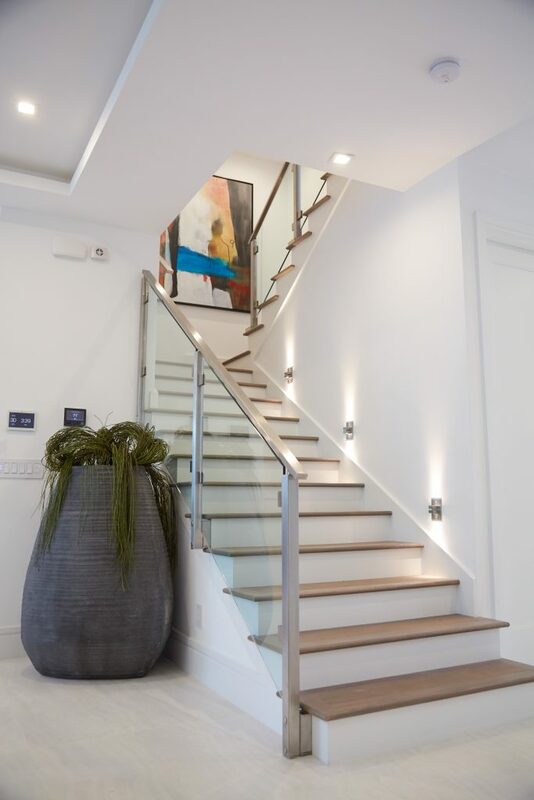 Natural wood furniture stands out against bright walls and white decor, and clear glass panels highlight a beautiful staircase. 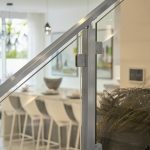 Slim bump-out posts anchor the railing without obstructing its clear lines, while steel clips hold the glass gently in place. 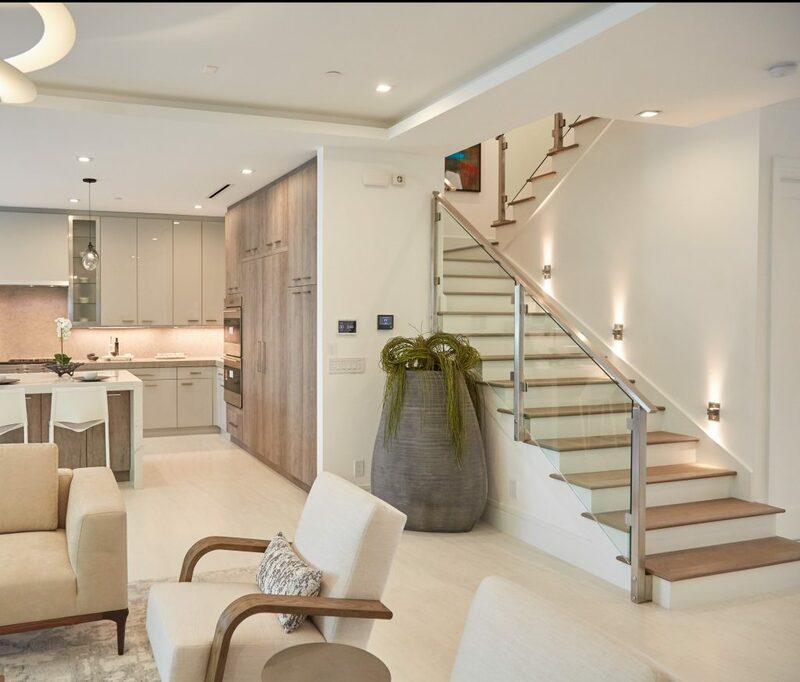 The result is a minimal, breezy aesthetic — it’s the kind of room guests don’t ever want to leave!